I cover all of Oahu. Mountains, valleys, coast and down to 100 feet underwater. I work on a reward basis and the reward is agreed upon in advance. So, other than a local trip charge of $25 to cover my gas expense, if I'm unable to find what you lost, no matter how many hours I spend looking for it, you won't owe me a thing for my time. Anything above chest deep water we'll need to use scuba equipment for that service there's a $75 charge to suit up...pay in advance. I'm also a certified scuba diver and have my own boat if needed. I use the Minelab Excalibur II detector that is proven to work well on the island’s iron rich soils and underwater to 100’. an Electronic Warfare Operator Maintenance Technician in the US Navy. 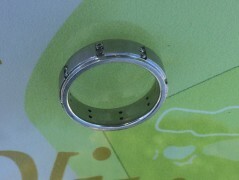 Words cannot express our gratitude to Joe for recovering Luis’ ring from the Nai’a Lagoon. Mahalo again Joe. Our honeymoon was truly saved, thank you again for being so awesome and taking your time out of a nice weekend morning to find a stranger’s ring. For anyone who needs to find a precious jewelers piece, know that it can be found and Joe is the man who can find it. Thank you so much. I am Mike. The lucky veteran who had a Christmas miracle come true! This will be a simple statement. I didn’t believe anyone would ever find my ring. He found it on a huge beach with crashing waves in about 5 minutes. And he doesn’t charge you anything!! Yup, nada. He accepts reward money. If you loose your metal valuables. Call him ASAP. He WILL find it. 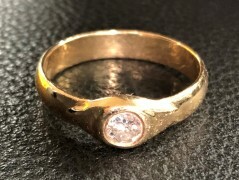 I am glad I was persistent in looking for ways to get my ring back as some of the hotel staff did not know that Joe was the person to call for this situation. After a brief google search and a single text the day after I lost the ring, Joe was quick to reply and happy to help. A tip for those looking at this website, if your hotel services do not know this outfit by name, tell them explicitly who is coming and it may ring a bell. Even if it does not, these guys know who to talk to to get on the beach quickly. Joe’s intuition on expanding the search beyond my recollection of where I thought I lost it shows that his experience is paramount in these waters. Wading in almost chest deep water, he found my Claddagh in about 45 minutes. 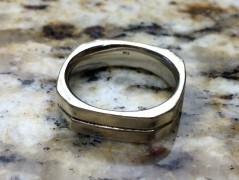 I appreciate his diligence to push his grid to the limit as this ring is an original from Galway, Ireland. Joe, Thank you from the bottom of my heart. 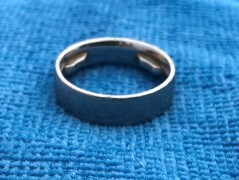 My wife and I’ve been married for 13 years and I’ve always taken pride in not losing my ring even though it has gotten looser as I’ve lost weight. I’ve been to multiple beaches and even swam with it at Waimea Valley and never had an issue. I was mortified when I realized that it slipped off in the waves and was almost immediately buried by some strong waves. I searched for about an hour with no luck. I was thrilled you would be out the next day but still had a restless night of sleep. I’d grown quite attached to the ring and feared I’d never see it again or would have to wait weeks. I really appreciate your determination to find it, you helped ensure my family’s first vacation to Hawaii remained a magical one for all. It’s crazy to think that after hours of searching on my own I had almost given up. I’m so glad I found your website and decided to give you a call. Seeing you pop your head out of the water holding my ring in your hand was an incredible relief… exactly where I thought it was yet i would have never found it on my own. I am truly grateful for all your aloha and genuine desire to simply help others. Mahalo Joe! 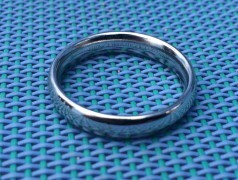 I was worried about telling a stranger the location of my lost ring- cause you know, you never know. But as soon as I laid eyes on him, I knew he was an honest person – he was super nice, like if he were a family member helping you , took his time- not pushy, attitude free – an overall cool nice person. I am so glad I found his name and website – if you ever lose something – you can trust this guy! 500% – and congratulations Joe! And thank you again – happy new year ! Joe Au-Franz: Hero of our honeymoon! 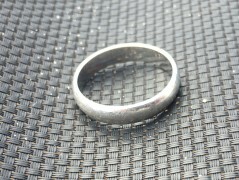 After snorkeling around the waters where I lost my ring for over and hour, my wife and I thought all hope was lost! On a lark I did an internet search, found Joe and the rest is history! 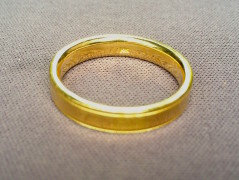 If you think there is ANY chance of finding your lost ring (or maybe even if you don’t! ), give Joe a call he will amaze you! You can tell he loves the hunt and really wants to help you out! We had come to Waikiki Beach for our honeymoon after getting married in Maryland a few months ago. 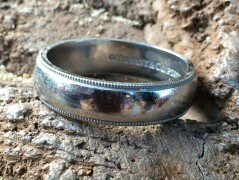 On our first day in the ocean my wedding band slipped off my finger and sunk down to the bottom of the beach. We looked frantically for about an hour using our snorkels, but we figured that it was lost in the sand. We spent the rest of that day pretty bummed and convinced that it was lost. 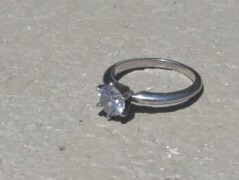 The next morning my wife had the idea to post on craigslist the location of the ring and asking for help. Within 10 minutes Joe responded and stated that he would be at the location quickly. Joe was on the beach within an hour with his metal detector. Although we were flying to Maui that day, Joe promised to call us if he found anything. 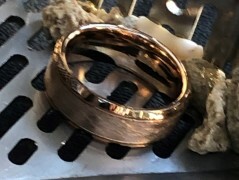 As soon as we landed in Maui, we received a call from Joe and were elated when he told us that he found the ring and would be able to send it priority mail to our hotel here, just in time for New Years. Thank you Joe! 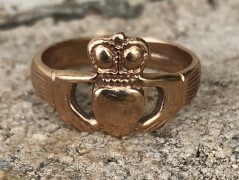 Thank you so much for finding my husband’s ring Joe! It’s been 7 years since we last visited Hawaii & this time with 2 kids so our heads are all over the place. Im the guy in the pic above… And I bet you could imagine the panic that was going through my head when I lost the rings! It was also heart wrenching to watch the couple – who put their rings in my hand along with their trust – go through the process of thinking that they would never see their cherished items again. I had to continue with the shoot but the idea popped up about having someone with a metal detector come out and help search for the rings. I did a quick google search and found theringfinders.com and went to USA>Hawaii and gave the first guy a call.. He was kind and helpful. He suggested that I should give Joe a call because he was already preocupied. As Joe said, he called me back and we set a time to meet… he said that he wanted to go ASAP and the sun was already set… We met up around 820pm. Amazed by how dedicated he was to help MY customers! 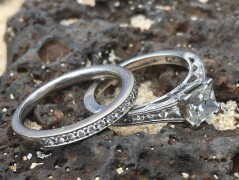 We drove to Waimanalo and I showed him where I lost the rings, he drew a few lines in the sand and went at it. No more than 5 mins later, there they were. I immediately took a pick and sent it to my couple. Our smiles were from ear to ear! We are very grateful for Joes services and kindness. It’s really awesome to meet someone who’s so kind and dedicated. He took a reward for finding the rings which he left up to us and I gave him everything I had in my pocket. He told me that it was too much, but I thought it wasn’t enough. 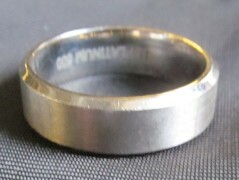 It was a sickening feeling when I noticed my wedding band was no longer on my finger. We went back to the beach and, at that point, I hoped it had fallen off where we were sitting on the beach chairs but feared it had fallen off when I was in the lagoon earlier for an hour. Luckily, I had kept to a limited area in the lagoon with some fairly good reference points so I had a good idea of the area where it might be. But as anyone here would know who has lost jewelry in the sandy bottom of the sea, it sinks into the sand. We spent an hour looking for it but had to give up. The hotel suggested contacting someone with a metal detector I found Joe on this site. Joe was in California when I called but due back the following afternoon. After speaking with Joe on the phone, I had a lot of confidence that he’d find it. Even though he’d been away from his home and family, Joe literally landed from his flight, went home to grab his gear, and drove through mid-afternoon traffic to reach us at the other side of the island. After I pointed out the search area, he told us to go relax on the beach. We didn’t have much time to do that as he found the ring after about 10 minutes!! 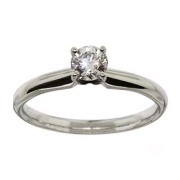 While I am, of course, so relieved and happy to get the ring back, I was also extremely impressed by how professional, kind and awesome Joe was during the entire experience. I wanted to buy him a drink afterwards but he needed to head off to Waikiki to help another couple in need. And that pretty much sums up the guy he is. Would love to buy you a drink next time we are in Oahu, Joe! My wife and I are still talking about you finding my wedding band!!! Talitha was so disappointed when I’d lost it and after searching with our hands and feet for hours the look of defeat on Talitha’s face was heart breaking. She kept saying it’s not about the monetary value, it’s more about the meaning of us becoming one in the eyes of God. Talitha was so determined to find it and even prayed about it. But we didn’t give up that easy. We saw a lady on the beach with a metal detector and I asked her if it works in the water? 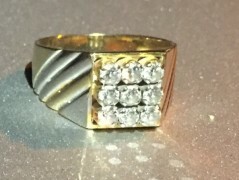 She advised there’s a guy who is here ever day around sunset, finds 2-3 rings a day and posts them on the net. We searched high and low for this guy for two days straight and…nothing! After searching the net we found you! Talitha is a strong believer that you, Joe, are an angel sent from God. We can’t thank you enough for finding my wedding band, it means the world to us! There was no mucking around with you and to find someone from the net who we barely knew to place the trust in your hands, you are so genuine and so honest…that can only be God’s work. Your services are excellent and with no time at all you found my ring. It’s so nice to be surrounded by good genuine people. We wish you all the success in the world Joe! You have only GOOD karma heading your way. Thank you again for helping us! God bless you my friend! Mahalo!!! We can’t thank enough for what Joe has done for us, today. 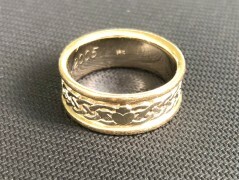 As he correctly mentioned, the ring has a lot of sentiments tied to it. Joe came in as a saviour today. He also helped us in calming down and bringing in the positive vibes. I’ve recommended Joe’s services on other blogs as well. 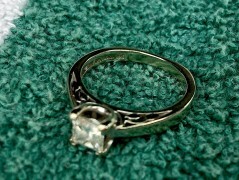 The local police deptt, was also very happy and thankful to Joe for finding the ring for us. A big vacation continues to be merry! 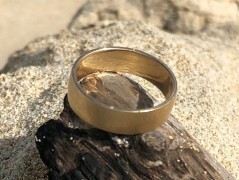 Joe was not only a miracle worker by finding my wife’s ring in the ocean he was very helpful on making sure someone else didn’t get to it before he had a chance. Joe was obviously someone you could trust and my wife heard that in his voice in her first phone call with him. 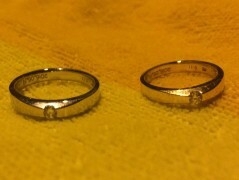 The ring was replaceable in my eyes, but my wife was feeling like she lost her world. Joe made her wish come true with his hard work and great attitude. Thanks again Joe! I’m still shocked that you actually found the ring! If it weren’t for you & Don’s huge hearts & selfless determination, I can honestly say that my fiance & I would be unable to fully appreciate our trip to Hawaii! Thank you so much for rescuing the nicest thing I’ve ever received from the bottom of the Pacific! 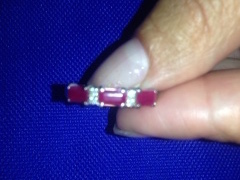 You restored my hope when I thought it was lost & my fiance Brian and I will forever be great ful to you both! Thank you again!!!! Joe: thanks again for all your help today!! You are awesome!!! My Kids will be talking about the Super Man with the cool special metal detector for days!!! Happy mommy , happy husband , happy kids!! It definitely did feel like an eternity i was starting to lose hope! 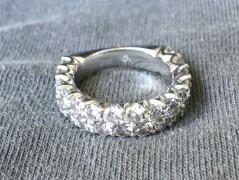 I just searched “lost ring in sand” on Google that’s how i found this website. If i had gone home with no ring and just gave up without calling you it would’ve turned a beautiful sunny day really sour. Thank you so much for your kindness and your service. We will both be eternally grateful for you. I will suggest you, Joe, to anyone who falls into the same unfortunate situation. Thank goodness for people like you!! Best regards Jenna and Alex!! I apologize for the tardy response. I am currently traveling again, this time taking my son up to college. I have finally had a chance to read your ring finder story. It’s written in a very warm and happy style and it could only put a smile on one’s face. It certainly was a pleasure meeting you. My daughter Talia referred to you as a guardian angel as you walked away. 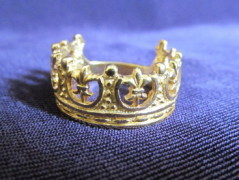 The gold crown ring will have extra meaning for us and is our newfound “lucky charm”. Thank you for sharing and spreading happiness and Aloha into people’s lives!